»Order hard copies of What Next Volume III! 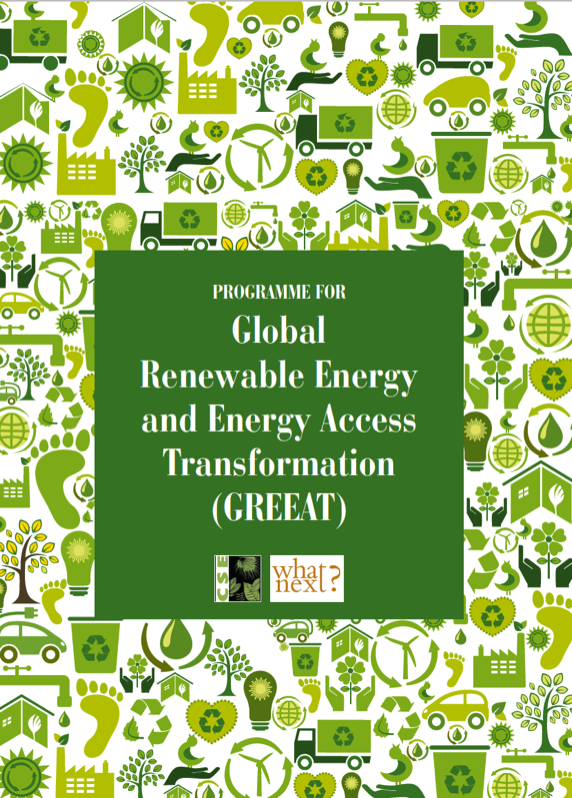 How could a Programme for Global Renewable Energy and Energy Access Transformation be set up? 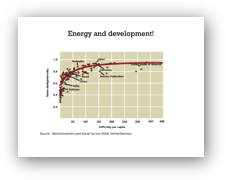 How can the international comunity enable transformation of the world's energy systems to 100% renewable energy while ensuring access to sufficient energy for all? What support mechanisms could work, how can they be set in place, and how should pay? 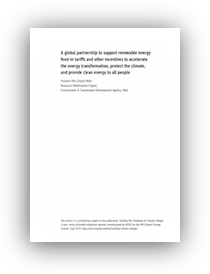 This brief vision document builds on previous work outlining a global renewable energy support programme, and takes into accound ideas and deliberations from a multi-stakeholder seminar by CSE and What Next, held in Delhi 28 March-1 April, 2015. Towards COP21 in Paris: What Next? Radical emissions reductions or risky false solutions? We are pleased to invite you to an informal seminar that will tackle some of the key issues at stake as the world is gathering for climate negotiations towards COP21 in Paris later this year. Kevin Anderson, professor at University of Manchester and Deputy Director of Tyndall Centre, UK’s premier climate change research institution will challenge us all with his analysis of the remaining carbon budget and its implications on emissions reduction trajectories and need for radical transformation across all sectors of society. 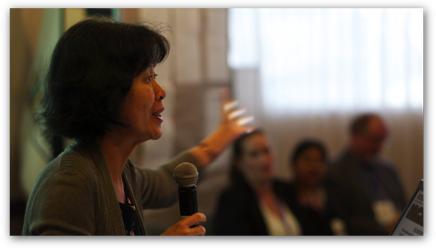 Neth Daño, Asia Director of ETC Group, will reflect on the progress towards the establishment of a global UN-based mechanism for technology assessment to be paired with vibrant, civil society monitoring to ensure real rather than false solutions are favoured. Niclas Hällström, Director of What Next Forum, will discuss the bold idea of a global renewable energy support programme that could enable countries in both the North and South to quickly embark on a transformation towards 100% renewable energy and provide a positive boost to the climate negotiations. Following the brief initial presentations, we look forward to a stimulating conversation among all presenters and participants. Download pdf with presentations of speakers and organisers. This seminar organised by What Next and Centre for Science and Environment gathered 25 civil society activists, researchers and officials from Africa, Asia, Europe and North America to develop the idea of a global renewable energy support programme for developing countries, with particular focus on globally funded feed-in tariffs. 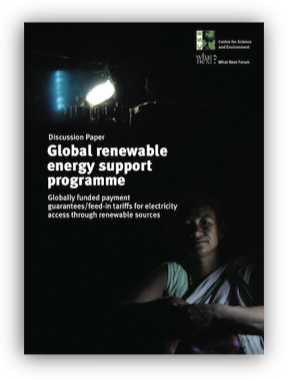 This new report/discussion paper, co-published with Centre for Science and Environment, presents the bold idea of GCF supporting a decentralised, distributed renewable energy model in all developing countries to simultaneously tackle energy access and climate change. 2-page brief that explains the Globally funded feed-in tariffs and their benefits. This commentary by Niclas Hällström, What Next Forum and Lili Fuhr, head of the Ecology and Sustainable Development Department at the Heinrich Böll Foundation exposes the myth of net-zero emissions and shows how this concept opens the door for false solutions, delays radical action and plays into the hand of the fossil fuel industry. It was published through Project Syndicate in 24 newspapers in about 20 countries. A full-day workshop in connection with the Convention on Biological Diversity (CBD) SBSTA meeting in Montreal. Organised by ETC Group and What Next Forum, supported by the EU Synenergene project and it's Civil Society Forum, the meeting gathered 25 specially invited negotiators and civil society activists. and calls for international collaboration and an ecological understanding of the grave challenges of antibiotic resistance. 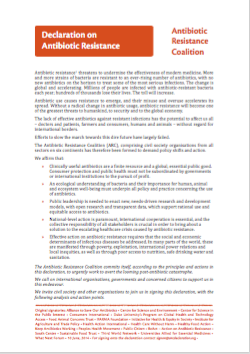 This seminar, organised by What Next Forum together with Action on Antibiotic Resistance (ReAct) and South Centre gathered 40 civil society activists from all continents and across sectors and led to the formation of a new global coalition of progressive civil society organisations – The Antibiotic Resistance Coaltion (ARC). Comprehensive Co-Chairs' reports in both English and Spanish from the Quito II seminar in April 2014. What Next Forum responsible for drafting and editing. International dialogue seminar with more than 80 participants from governments, UN agencies, academia, civil society, indigenous peoples and business, organised by Swedbio together with the CBD secretariat and Ecuador, India, Japan, Norway, the Republic of Korea, Sweden, Uganda, and the European Commission. What Next Forum facilitated the planning, organising and report writing for the dialogue. 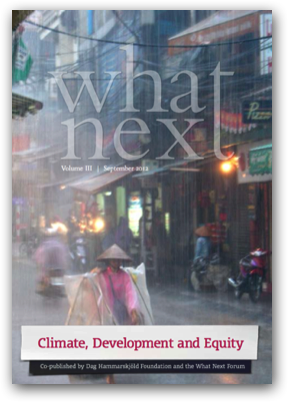 An all new What Next publication! Check out this thought-provoking, challenging What Next Volume – now available electronically, as well as in hard copy. This What Next Volume presents voices from across the North and South, addressing the combined challenges of climate, development and equity. It highlights the urgency of taking action, but also shows why any attempt to tackle climate change must be grounded in equity. How will humanity fairly divide the rapidly diminishing global carbon budget, while allowing billions of people in the global South (and North) the means for economic, social and environmental well-being? How can United Nations negotiations move forward, and what are the real and false solutions? This richly illustrated 360-page publication in full color contains 22 articles by the most insightful scholars, activists and scientists from both the South and the North. Click here for table of contents, download links and more! These contributions from some of the world’s most far-sighted commentators should be required reading for heads of state, policymakers, journalists, activists and the concerned public. Together they make the loudest call for political and individual action and give governments the legitimacy to act. The volume is produced by the What Next Forum, while co-published and further distributed also as an issue of the Dag Hammarskjöld Foundation's journal Development Dialogue. While identical in content, the Development Dialogue version has a different cover. Presentation + Q&A/discussion from the seminar 'Behind the Consumption Smokescreen' (1 hours). Kevin's presentation begins at min 16, and largely follows his article in the What Next Volume III book. Download the article in English or Swedish. 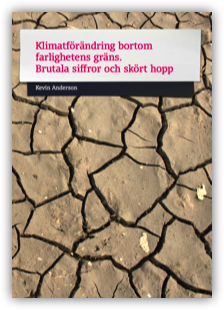 A Swedish translation of Kevin Anderson's great opening article in the book 'What Next Volume III: Climate, Development and Equity'. Download as pdf for printing or further distribution! Op-ed in the second biggest Swedish daily newspaper "Svenska Dagbladet ( Brännpunkt)" by Kevin Anderson 8 November (in Swedish)! Behind the consumption smokescreen – How can Sweden become a true role model in climate action? 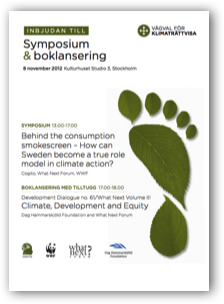 This climate justice oriented seminar critically examined Sweden and its action on climate change behind the consumption smokescreen. How much of Sweden's emissions has actually moved to other countries that are now producing the goods we consume? What does it take for Sweden to become a real role model and take on commitments on par with what science requires and in line with its historical responsibility and any notion of 'fairness' and 'equity'? This seminar, co-organised with Cogito and WWF Sweden, featured two of the authors of the What Next Volume III publication: Kevin Anderson, Tyndall Centre for Climate Change Research and Dale Wen, Third World Network, as well as Glen Peters, Centre for International Climate Research). In the final panel the presenters were joined by a Roger Tiefensee, representing the Swedish government, Helena Leander, the Green Party, and Stefan Henningsson, WWF. 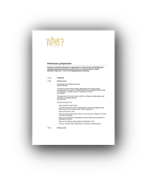 Download a pdf-version of the invitation. The seminar focus in a broader climate justice context. Click on the image for pdf-version. 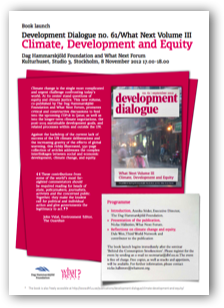 The formal launching of the new What Next Volume III/Development Dialogue no 61 took place at Kulturhuset, Stockholm, immediately following the seminar 'Behind the consumption smokescreen' on 8 November 2012. 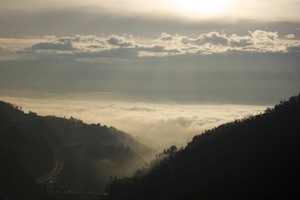 Rio +20 or Silent Spring-50? What Next after Rio? 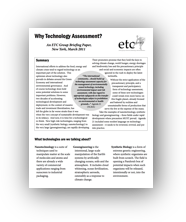 How can Sweden take international leadership on precaution and technology assessment? This seminar with Pat Mooney and Silvia Ribeiro from the ETC Group, highlighted some of the biggest, but yet least discussed issues we are facing in the coming decades: the potential impacts of new, emerging technologies and societies’ ability to deal with these in fair and sustainable manners. Reflecting on successful work on technology assessment and reaffirmation of the moratorium on ocean fertilization (a geoengineering scheme) in the Rio+20 process, Pat and Silvia opened up for discussion on the way forward, both in terms of the upcoming Convention on Biological Diversity COP in Hyderabad in October 2012, as well as beyond. Sweden (and Norway) played particularly constructive roles in the area of Technology Assessment at Rio+20, and the seminar both encouraged and demanded that Sweden continue on such a track. 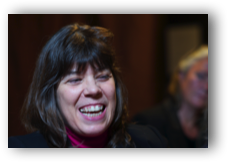 The Swedish Enviornment Ambassdor Annika Markovic participated in the last, policy-oriented part of the seminar. For a copy of the original invitation to the seminar – click here! The seminar was jointly organized by What Next Forum, The Development and Resilience Programme (Swedbio) at Stockholm Resilience Centre, and the Right Livelihood Award Foundation. 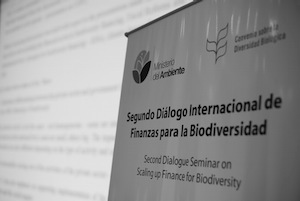 The Co-chairs' summary from the dialogue seminar "Scaling up Biodiversity Financing" is now ready and available for download and further distribution (now also in Spanish version). 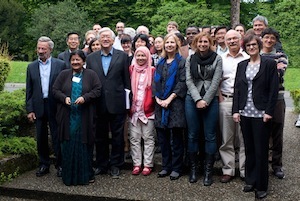 The report summarizes the presentations as well as group and plenary discussions. The aim of the seminar was to provide opportunity for understanding both convergences and divergences on the controversial issues around biodiversity financing, and in particular, the role of "innovative" market mechanisms. The Co-chair's summary shows a surprising degree of convergence in perspectives on the importance of fiscal reform and public finance mechanisms, and a recognition of the limited scope and risks with an overoptimistic reliance on new "markets". 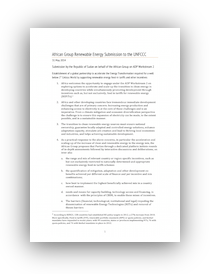 The "Co-chairs' Summary" of the meeting will serve as an "INF" document to the formal CBD negotiations both at the Working Group on the Review of Implementation (WGRI-4) meeting in Montreal in May 2012, and at COP 11 in Hyderabad, October 2012. Niclas Hällström of What Next Forum collaborated closely with Swedbio throughout the process, including the drafting and finalization of the report. A dialogue seminar on "Scaling up Biodiversity Finance" was organized by The Resilience and Development programme at Stockholm Resilience Centre (Swedbio), 6-9 March, with the Secretariat for the Convention on Biological Diversity and five countries (Ecuador, India, Japan, Norway and Sweden) as formal conveners. What Next Forum contributed in a contracted support function to help out with the planning, seminar methodology, programme development, technical assistance (website design and maintenance and documentation), and drafting/editing of the seminar report. Around 80 representatives of governments, including key CBD negotiators, researchers, indigenous peoples representatives, civil society organizations and social movements, and UN representatives participated in the four-day long meeting. 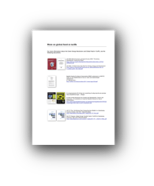 Check out the seminar website with a compilation of 30 powerpoint presentations and lots of reading material. The website has the ambition to function as a growing resource/literature hub for biodiversity financing material. Click here for photos from the seminar. Click here for a slideshow from the seminar. 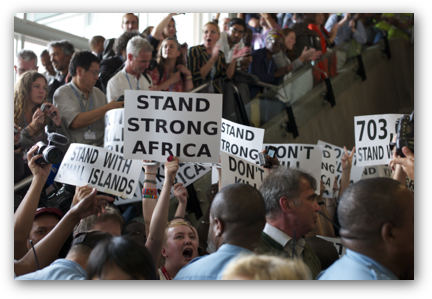 Niclas Hällström participated at the COP17 negotiations in Durban representing both the What Next Forum, as well as working on behalf of the Swedish Society for Nature Conservation (SSNC). One of the main purposes was to highlight and stimulate discussions around the idea of Globally Funded Feed-in Tariffs. 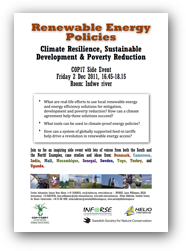 On 4 December, the Swedish Society for Nature Conservation organized, together with the International Network for Sustainable Energy (INFORSE) and Helio International, the side event "Renewable Energy Policies: Climate resilience, Sustainable Development and Poverty Reduction". Niclas Hällström, What Next Forum, presented on behalf of the Swedish Society for Nature Conservation. Link to side event presentation as pdf to the left. 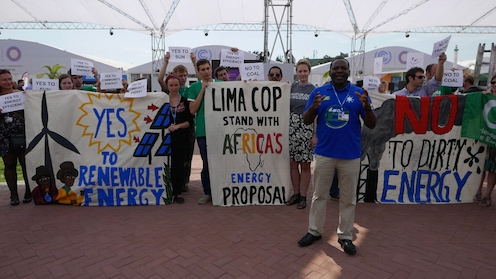 In Durban, a new Friends of the Earth publication, "Reclaiming Power: An energy model for People and Planet" was launched and discussed at various workshops and meetings around COP17. The publication presents a framework which departs from the need to tackle energy access in an equitable and participatory manner, and presents how a model of globally funded feed-in tariffs with institutions and governance structures to ensure local ownership and bottom-up approaches could look like. The publication was co-authored by What Next Forum. Check out lots of photos and slideshows from both the negotiations and the demonstrations at the What Next Forum Photo pages. 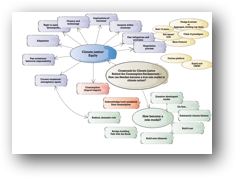 This Rio +20 Challenge paper was written jointly by Victoria Johnson, New Economics Foundation and Niclas Hällström, What Next Forum as input to the Rio +20 process. The paper is one in a number of Challenge papers published by the Global Transition 2012 initiative – a joint collaboration between the New Economics Foundation, Stakeholder Forum and New Economics Institute. 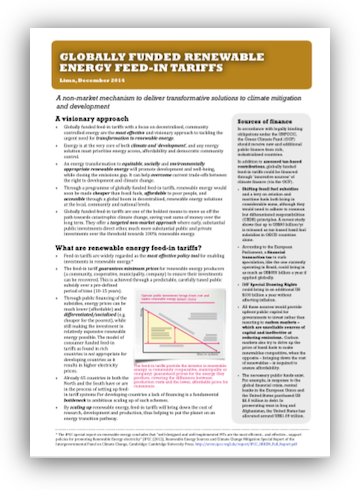 The paper discusses a number of challenges to energy and development, and presents the idea of globally funded feed-in tariffs as a significant part of a solution. Download the Challenge paper in pdf-format. Link to overview with all the Challenge papers. 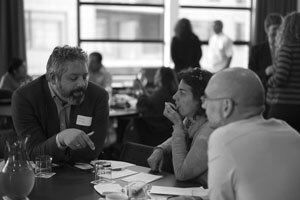 This roundtable discussion with Pat Mooney was organized jointly by the What Next Forum and The Resilience and Development Programme (SwedBio) at Stockholm Resilience Centre. All together 19 persons, with backgrounds in civil society, the Swedish Ministry for Environment, the Swedish EPA, the research community and sustainable development consultancy participated in a rich discussion, initiated and inspired by an overview by Mooney. The discussions provided a strong case for establishing an international mechanism for technology assessment, something Sweden could take a lead in promoting as an outcome of the Rio +20 summit in June 2012. What Next? The World in 2035: Erosion, Technological Transformation and Corporate Concentration - or Alternatives? 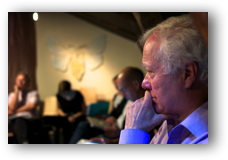 The What Next Forum and Centre for Environment and Development Studies (Cemus) jointly organized an open lecture with Pat Mooney, one of the most prophetic analysts of future trends, as well as one of the most effective scholar-activists and shapers of global policy. In the lecture, Pat shared a 30-year perspective on the future – both worrisome business-as-usual scenarios and more hopeful alternative trajectories. Report from full-day seminar tackling the growing crisis of antibiotic resistance, and specifically the lack of innovation of new antibiotics, held in Brussels by the international network Action on Antibiotic Resistance (ReAct) on 23 May 2011. The seminar explicitly served the current EU Commission policy making process in this area. Niclas Hällström, What Next Forum, helped prepare the multi-stakeholder process, moderated the seminar and drafted and edited the report. The seminar focused attention on the significant scientific bottlenecks and concluded that new, open collaborative forms of innovation are crucial. Link to the ReAct website with more information about the seminar. Download a pdf-version of the report. What is China doing to tackle climate change? What has the massive blaming of China since the Copenhagen summit meant? What are reasonable demands on China? What does China need to do to to move towards a sustainable society? What are opportunities for improved cooperation between EU and China to reach breakthroughs in the international climate negotiations? These and other critical issues were presented and discussed at an afternoon seminar with Dr Dale Jiajun Wen on Tuesday 6 September. Former MEP Anders Wijkman kicked off the discussion session where the new Green Party spokesperson Åsa Romson, former UN Head of Legal Affairs Hans Corell and Karl Hallding, SEI China Expert among others took part in the roundtable discussion. Letters from Chinese scholar-activists to the Chinese and US governments. A three-day retreat/seminar with authors of a book project on gender and sustainable livelihoods coordinated by Wendy Harcourt, editor of the journal Development (and newly appointed professor of Social Policy at the Institute of Social Scince, Hague) and Josie Stremmelaar, Hivos. 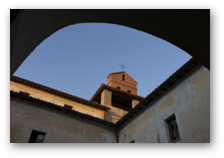 The meeting was held at the incredible scholar-activist-art collective Convento S. Maria del Giglio in Bolsena, Italy – a stunningly beautiful, old monastery overlooking a crater lake. Niclas Hällström, What Next Forum participated as discussant to comment and reflect on the book chapters, linking this work to the What Next Feminist Political Ecology process that was initiated by Wendy Harcourt and the What Next project some years ago. Look out for the new book which will be published by Palgrave, just in time for the Rio +20 summit in June next year! A full-day seminar tackling the growing crisis of antibiotic resistance, and specifically the lack of innovation of new antibiotics, was held in Brussels by the international network Action on Antibiotic Resistance (ReAct) on 23 May 2011. The seminar explicitly served the current EU policy making process in this area. Niclas Hällström, What Next Forum, helped prepare the multi-stakeholder process and moderated the seminar. Link to the ReAct website with more information about the seminar. 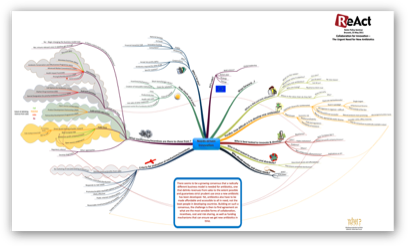 Click on the image above for a What Next mindmap outlining the key issues discussed at the seminar. An afternoon seminar exploring the idea to explicitly and simultaneously tackle, through a global system of feed-in tariffs for renewable energy, the need for drastic reductions of greenhouse gas emissions as well as the need for billions of poor people to gain access to more affordable energy. 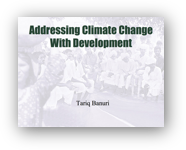 At the seminar Tariq Banuri, Director of the Division for Sustainable Development, UN and Sunita Narain, Director, Centre for Science and Environment, India presented the idea and shared relevant experiences from the ground. Around 20 people participated in the roundtable discussion, including Ambassador Staffan Tillander, then Head of the Swedish Climate Delegation. In order for this promising scheme to take off, a few countries such as Sweden should take the lead and set up a pilot project. 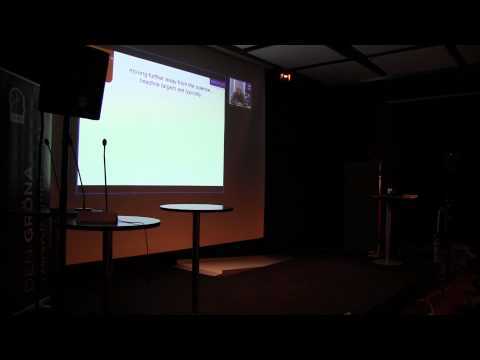 Lecture by Anders Wijkman and Johan Rockström. Anders Wijkman, adviser at the Tällberg foundation and Stockholm Environmental Institute and Johan Rockström, Professor and Director of the Stockholm Resilience Centre and Stockholm Environmental Institute, presented their recent book "Den store förnekelsen" ("The Great Denial"). General discussions initiated by reflections by Kerstin Sahlin, Deputy VIce Chancellor of Uppsala University and Professor of Business Administration and Marie Kvarnström, Swedish Biodiversity Centre (CBM) at SLU. Moderation by Niclas Hällström, What Next Forum. You Tube excerpt from the lecture here.